Our international student population is on the rise at Virtual High School. Each year, more international students enrol to take courses with the end goal of earning an Ontario Secondary School Diploma (OSSD). Students can also take single courses to meet prerequisite requirements or to gain experience with the Ontario curriculum. The OSSD is a highly sought-after certification for students applying to universities around the globe and more specifically to Ontario universities. Since the establishment of our first international partnership in 2008, VHS has worked with partner schools and organizations to offer a flexible and innovative pathway for groups of students who wish to earn OSSD credits or the full diploma. Our partnership division continues to grow, and in 2018, our friends at Xspace Learning had their first group of students begin online classes with VHS through their VHS-HELPS program. This is VHS’s first Chinese partnership organization, and we are looking forward to seeing it grow in the coming years. Xspace’s Beijing Campus (left) and members of the Xspace team and Virtual High School team meeting at VHS’s office in Bayfield (right). The Xspace HELPS program operates in Beijing, China, at the Second High School, which is attached to the highly reputable Beijing Normal University. Students who attend the HELPS program complete VHS courses through a unique blended-learning model and graduate with an OSSD. The HELPS blended-learning model creates a space where students can interact in purposeful ways with peers, digital course materials, online VHS teachers, and the facilitator in a physical classroom setting. Qualified educators from the VHS-HELPS instructional team work together to guide students through coursework while helping students develop long-term soft skills and offering personalized instruction that fits students’ individual needs. Xspace students completing various activities. If you are interested in establishing a partnership with Virtual High School, please visit the partnerships page, or contact Jean Anne at partnerships@virtualhighschool.com. She would be happy to hear from you! 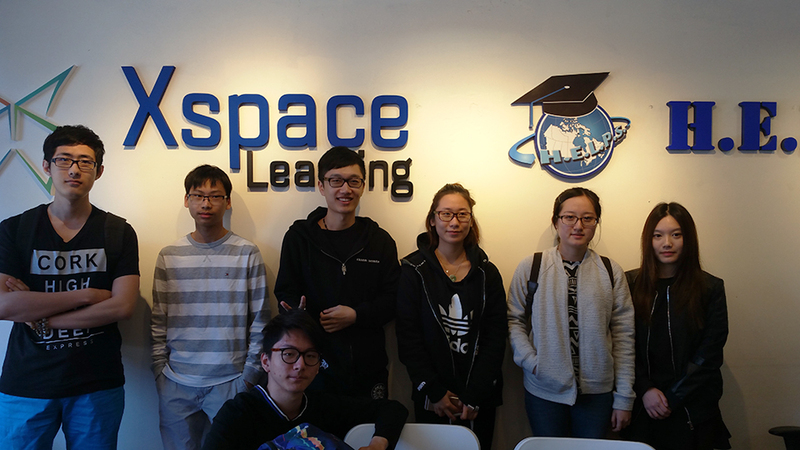 If you would like more information on the Xspace HELPS program, you can visit the Xspace Learning website or call their Vancouver or Beijing offices at the phone numbers listed below. Jean Anne Hamilton is the Partnerships Coordinator at Virtual High School. Jean Anne works to establish and implement educational programs that use VHS courses, in addition to assisting with ongoing administrative tasks. In a nutshell, she ensures that our partners receive outstanding service. She enjoys collaborating with current and prospective partners from all over the world to discuss and pursue opportunities that exist within online education.